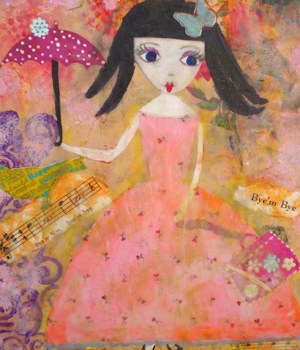 Last year I was obsessed with drawing petite doll faces when I joined Suzi Blu‘s Petite Dolls Class. You know how you do something in excess and just get burn out? 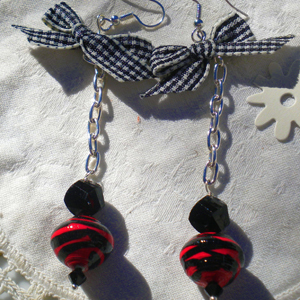 That’s what happened with me but I did three dolls and one of them is the inspiration for this earrings. 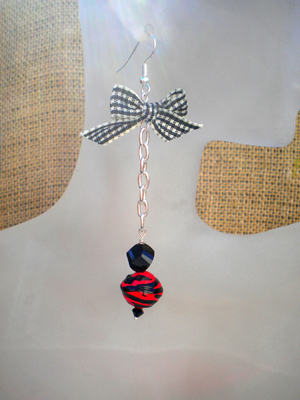 I love doing the zebra prints because they are so simple to do! 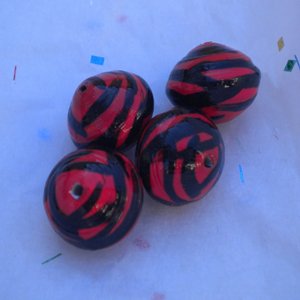 Now I understand why I have gotten so many requests for painted beads, makes the designing part more fun. These are so pretty…my daughter loves Betsey Johnson…and these are the BJ-esque look! Really pretty! How cute. Are the stripes done with a marker?